On Tuesday 17th November HollandDoor organized on behalf of the Agricultural Economics and Rural Policy Group of Wageningen University the pre-conference tour of the 7th International Conference on Coexistence between Genetically Modified (GM) and non-GM based Agricultural Supply Chains. This year the biennial international event took place in Amsterdam. The excursion program provides an excellent opportunity for the conference participants (many of whom are scientists and policy makers) to get information directly from the 'working floor'. Many of the agricultural supply chains concerns raw materials for feedstuff. Therefore the excursion program focused on that theme. 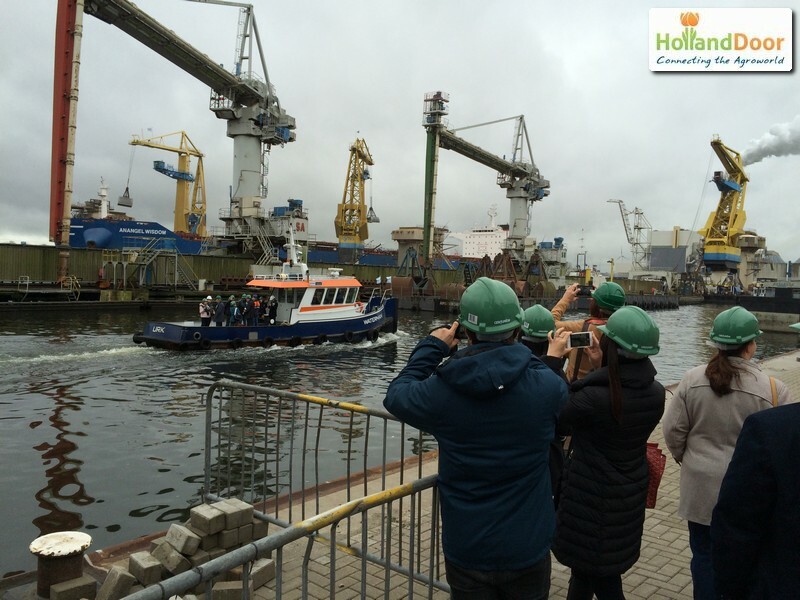 In the morning the IGMA terminal in the Amsterdam harbor was visited. Here transshipment from sea ships to river ships and storage takes place of raw materials for Cefetra and Cargill. The participants received an extensive and expert explanation by Cefetra about of all the trade and logistic activities regarding GMO and non-GMO raw materials. Fitted with helmets and swimming vests the participants could take a closer look aboard of a harbor vessel of the unloading of a sea ship. With cranes with a maximum capacity of 40 tons at a time the unloading still takes up 3 days of work. After this very informative visit the program went on after lunch with two presentations in the Harry Mulisch room of the Amsterdam Public Library which is also in the vicinity of the harbor. The presentations of RIKILT Wageningen UR and the Ministry of Economic Affairs enlightened the enforcement of GMO non-GMO segregation in the Netherlands. As well as discussing the Dutch position regarding the opt-out possibility for EU countries for GMO products, respectively. After a lively discussion with the speakers it was time for a short walk to the VIP Water Taxi which brought the group, after a touristic trip through the Amsterdam canals, back to the conference hotel. 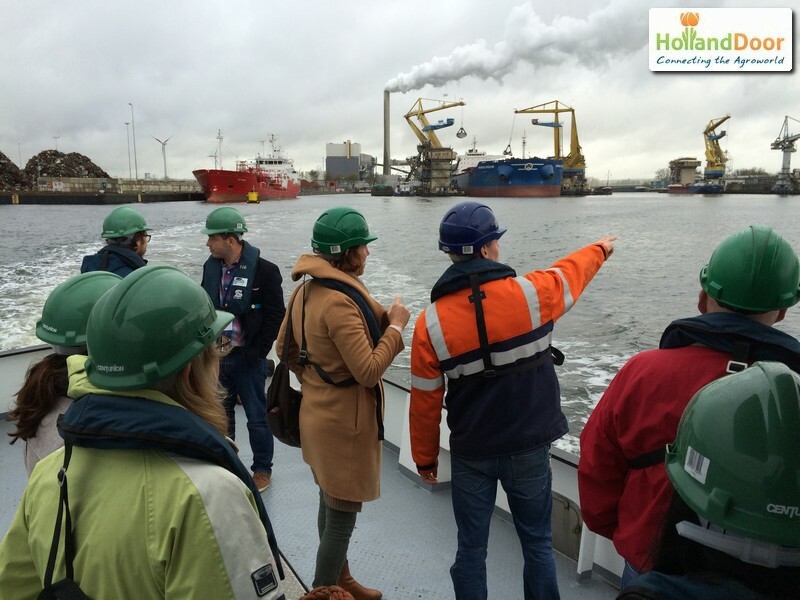 And so HollandDoor succeeded in organizing an informative and full day program in an area of a few square kilometer. Are you also planning a conference including an excursion program? Then you would be well advised to ask HollandDoor for a skilled organization of that program.